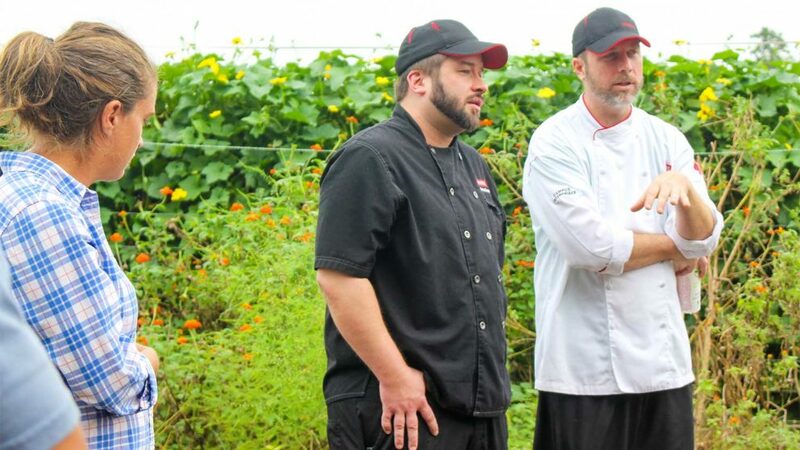 Farm manager Alison Reeves (left) and NC State Dining chefs Manley Cosper and Adam Smith (right) lead a tour of the Agroecology Education Farm. 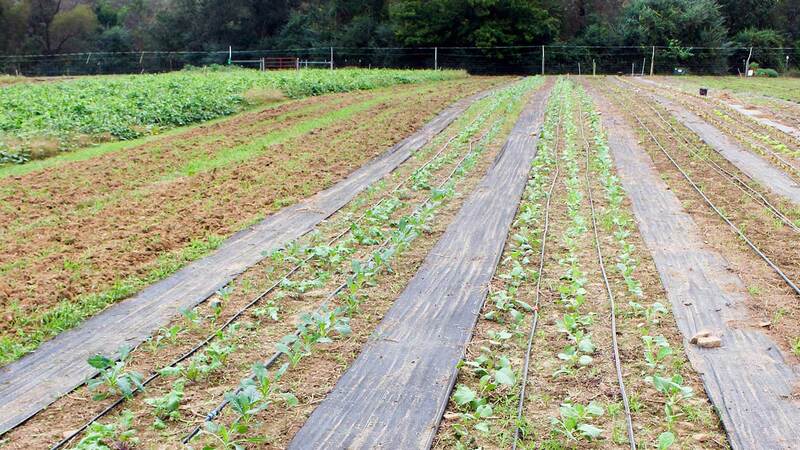 Just south of NC State’s Raleigh campus along Lake Wheeler Road, the NC State Agroecology Education Farm grows produce for campus dining facilities while also teaching sustainable agriculture to NC State students. Though the farm isn’t certified organic, organic principles are used and taught to the students who use the facility as a learning lab. In October 2018, the farm’s manager and partners provided a tour as part of the university’s Sustainability Partners program. 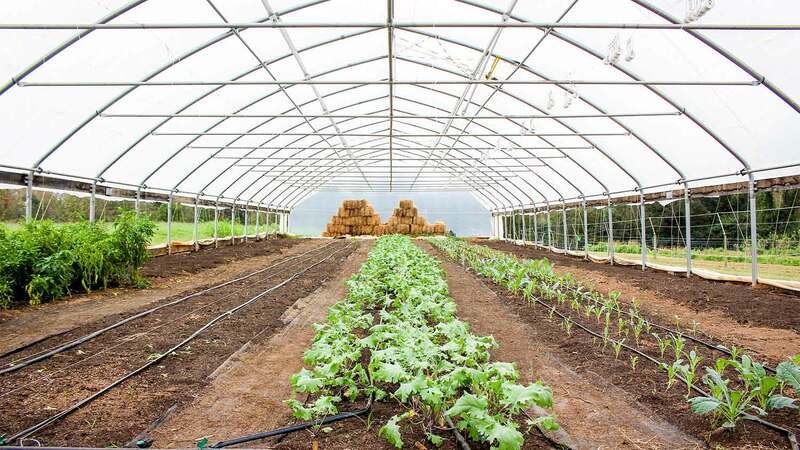 A hoop house enables the farm to extend the growing season by protecting plants from colder temperatures in spring and fall. 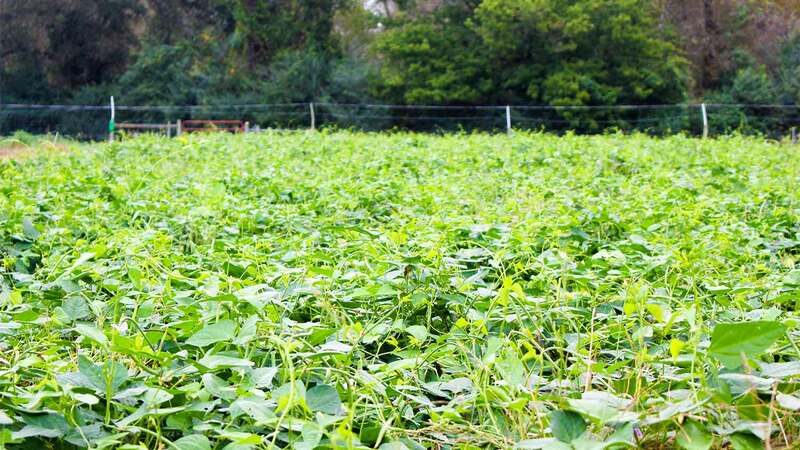 Cowpea is a summer cover crop grown by the farm. Cover crops help maintain and improve the soil for future growing seasons. 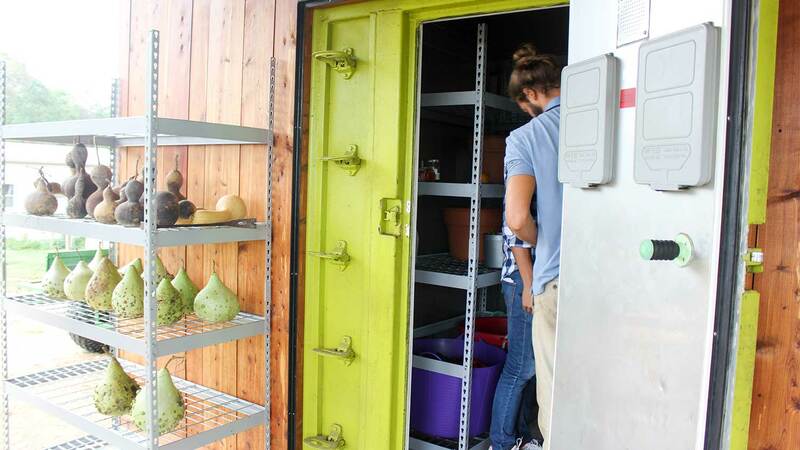 The farm uses organic principles, which means no chemical use. One of the ways they control weeds is through black fabric that suppresses most weed growth. After produce is harvested from the field, food is transferred to these on-site coolers, which enable the farm to boost its crop yield. The building that houses the coolers was designed and built by College of Design architecture students. 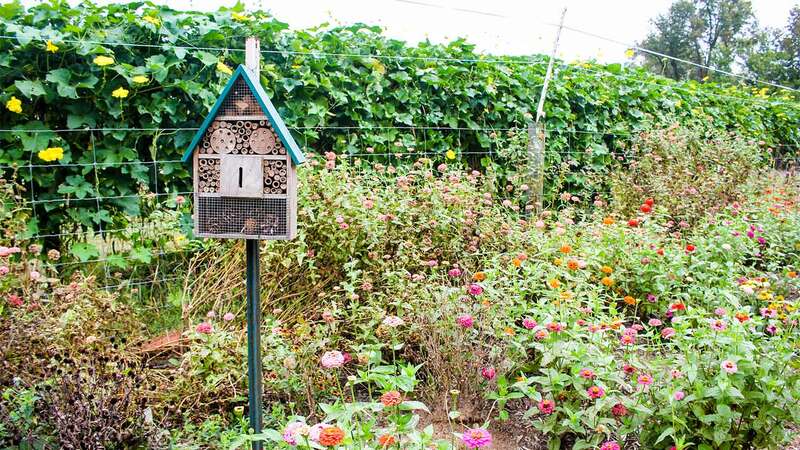 Pollinators like bees are particularly beneficial on farms where organic principles are used. A recent graduate designed a pollinator garden for the farm as part of her capstone project for the Agroecology degree program.